Thank you very much! My first Greek pirate QSL! Also received the same awesome full data eQSL today and it is also my very first Greek pirate radio QSL! Thank you very much Zeppelin Radio! It has already been printed out and is going to be framed for the radio room wall! Received also here, many thanks Zeppelin Radio !!! 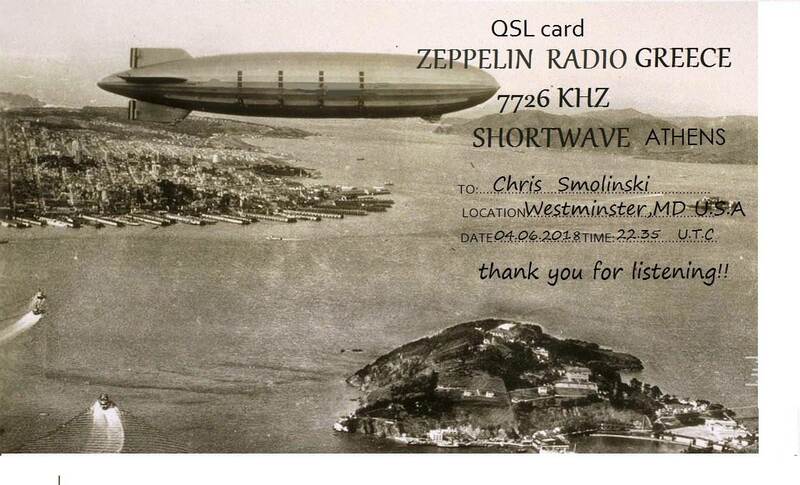 Received the same eQSL, thank you very much Zeppelin Radio Greece!